After breaking sales records in all the countries it has reached, Apple’s largest selling smartphone is arriving in the most populous country of the world very soon. According to AFP, China’s second biggest telecom company, China Unicom is all set to launch the iPhone 4 next month in the biggest mobile market of the world. 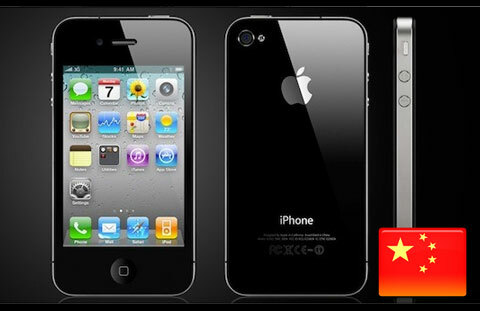 iPhone 3GS was introduced in the country last month by China Unicom with wireless capability and Apple’s Beijing store sold out 100% of the phones on the first day. China’s national standard for wireless networking is WAPI instead of WiFi which requires some adjustments and Chinese consumers have waited patiently for the iPhone 4 to arrive officially. With the massive popularity of the iPhone 3GS, it’s not difficult to imagine what may be in store for the iPhone 4. China has the largest number of mobile users in the world and the iPhone 4 might just go on to sell more than it has to date in all its official carrier countries. China Unicom is also reported to be in talks with Apple to start selling the iPad in China later this year but no confirmation has been given about the story by both parties. A China Unicom official refused to confirm the iPhone 4 arrival story to AFP but the news agency insists that it’s coming from a reliable source. It’s obvious that Apple can’t ignore its biggest potential market and China can’t remain deprived of the world’s favourite smartphone for too long. It’s an inevitable union of two giants waiting to happen.